Jeff Skilling on the day of his 2006 sentencing. John Taylor Skilling, the youngest son of former Enron president Jeff Skilling, was found dead in his Santa Ana, California, apartment earlier this week.The cause of death appears to have been an accidental overdose of prescription medication. “JT” Skilling was apparently distraught after recently having broken up with his girlfriend. 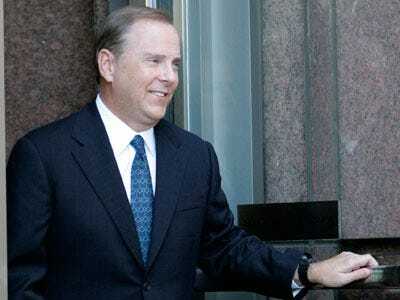 Jeff Skilling is still in jail, where he is serving a 24-year sentence for his role in the Enron collapse. Skilling’s attorney, Daniel Petrocelli, aptly described JT’s death as tragic, and said he will seek a temporary release for Jeff Skilling to attend the funeral.